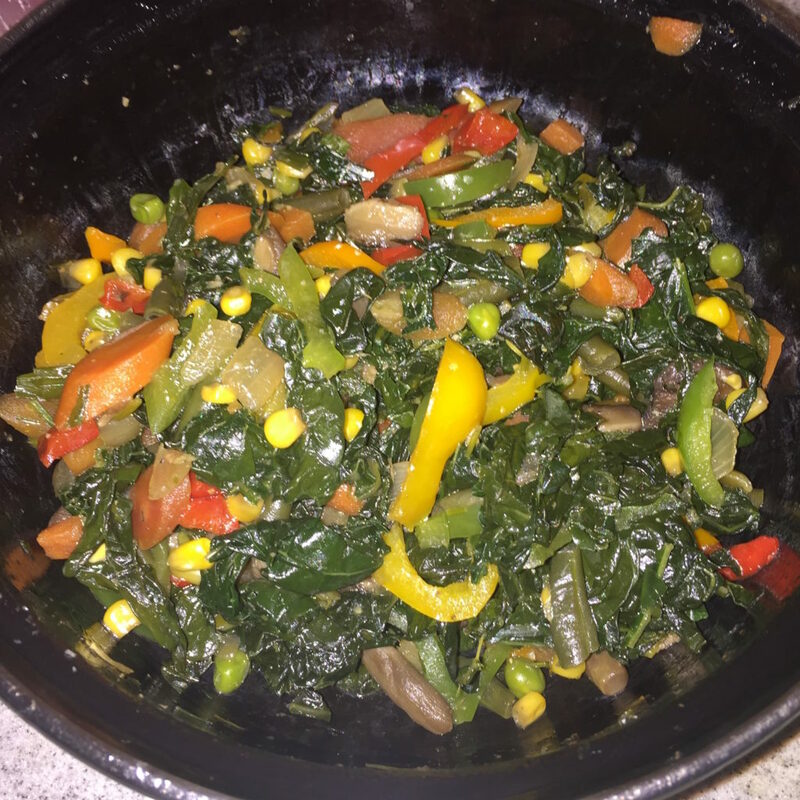 Living a healthy life, and in my case living a plant based life doesn’t mean depriving from good and delicious food. It means finding ways to implement other alternatives to a lifestyle that adds benefits, flavors and also creativity. Spending time with my beautiful mother in Curaçao has been such a blessing. 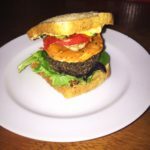 She took time to experiment in the kitchen and made an amazing plant based quinoa burger patty for the both of us to enjoy. 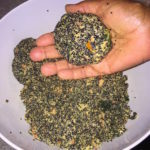 The quinoa burger is easy to make and we truly enjoyed the process of creating it. Quinoa is considered a superfood & supergrain. Why? It has the highest nutritional profile and cooks the fastest of all grains. It’s an extremely high-energy grain and has been grown and consumed for about 8,000 years on the high plains of the Andes Mountains in South America. The Incas were able to run long distances at high altitudes because of this powerful grain. 1) Quinoa is one of the most protein-rich foods we can eat. It is a complete protein containing all nine essential amino acids. 2) Quinoa contains almost twice as much fiber as most other grains. Fiber is most widely known to relieve constipation. It also helps to prevent heart disease by reducing high blood pressure and diabetes. 3) Quinoa is naturally gluten-free (gf) and perfect for people with gluten intolerance. 4) It has a low glycemic index, which is good for blood sugar control. 5) Quinoa is high in important minerals like iron and magnesium. 6) Quinoa strengthens the kidney, heart and lungs and is ideal for endurance. No wonder it grows in the high mountains of Peru where more strength is needed for the lunges to survive the valleys of the Andes in South America. There are many nutrients in the modern diet that people tend to be lacking in. This is particularly true of some minerals, especially magnesium, potassium, zinc and iron. Before cooking, quinoa must be rinsed to remove the toxic, naturally-occurring bitter coating called saponin. Too much saponin in the body prevents the body from absorbing vital minerals and vitamins in our bodies. Saponin, when removed from quinoa, produces a soapy solution in water. Most often, Quinoa is rinsed before it’s packaged and sold, but it’s best to rinse again at home before use. Place quinoa in a strainer and rinse thoroughly with water. 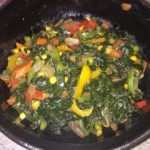 Add the greens (spinach, collards, or kale), carrots, bell pepper and celery, cook for 2 minutes and then add the cumin. Add in a sprinkle of cayenne pepper. Add the quinoa to the pan. Turn off the heat, place contents into a mixing bowl and add the coconut flour to the veggie quinoa mix – stir well until everything is coated. Clean the frying pan while the mixture cools or pre heat the oven (at 350 F). Then, heat the pan on high and add the rest of the coconut oil (or add coconut oil to an oven pan). Make patties from the mixture in the bowl (approximately 3 inches in diameter). Cook each burger on both sides until brown and crispy either in the pan or in the oven. To assemble the quinoa burger, we used gf almond based bread, a slice of baked and toasted organic sweet & yellow potato, spinach, tomato, lettuce, hummus, avocado, and coconut oil vegan “butter” spread. You can add anything to it. Go out there, get cooking, be creative and enjoy!